NY: Dell, 1961. Scarce comic book from the original movie that starred Hayley Mills (who is pictured twice on the front panel). Black and white scenes from the movie on the obverse of the front cover. Dell No. 1210. First Edition. Soft Cover. Very Good +/No Jacket. 4to - over 9¾" - 12" tall. Comic Book. CA: Buttwig, 1998. Bound in yellow wraps, stamped in black. A 20 pp. book of comics by Larsen. Black and white. . First Edition. Soft Cover. Near Fine/No Jacket. 8vo - over 7¾" - 9¾" tall. Minden, NV: Gerber, 1989. Bound in black boards, stamped in gold. This is the first four volumes of the series -- in matching dust jackets (over 20,000 illustrations of comic book covers just in the first two volumes). These are reference books for the serious comic book collector. A great undertaking by the Gerbers. . First Edition. Hard Cover. Near Fine/Near Fine. Illus. by Photo Illustrated. 4to - over 9¾" - 12" tall. NY: Fireside, 1988. Tight, clean copy of this, the first edition of the twenty years later edition with a new introduction by the author/illustrator. Unpaginated, but approximately 64 pp. . First Edition Thus. Soft Cover. Near Fine/No Jacket. 4to - over 9¾" - 12" tall. Berkeley: Print Mint, 1972. Tight, clean copy of this comic book that was produced to help Heroin addicts back in the 70's. 50 cent cover price. 32 pp.. First Edition. Soft Cover. Near Fine/No Jacket. 4to - over 9¾" - 12" tall. San Francisco: Cartoonists Co-op, 1970. The scarce No. 1 issue of this now classic comic by Bill Griffith. One inch clean tear at top of spine (easily repaired). 50 Cent original price on front panel. An acceptable copy. . First Edition. Soft Cover. VG/No Jacket. Comic Book. New York, New York, U.S.A.: Pantheon Books, 1992. 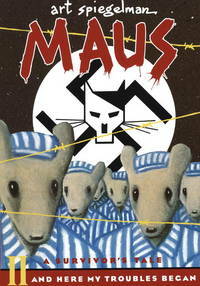 Tight, clean copy of this first edition in wraps of the popular Nazi cartoon book. Bound in colorful stiff wraps. 136 pp. . First Edition. Soft Cover. Near Fine/No Jacket. NY: Dell, 1949. Tiny archival tape repair to edge of p. 19. Overall -- A very acceptable copy of the scarcest Howdy Doody Comic Book. This is #1 -- published in 1949 by Dell. . First Edition. Soft Cover. VG+/No Jacket. Comic Book. London: Grandreams, 1981. Mixture of myth, fact and fiction covering the "Maverick" TV show; bound in pictorial boards, sans DW; black & whit and color; unpaginated, apprpx. 60pp.. First Edition. Hard Cover. Near Fine/No Jacket. 4to - over 9¾" - 12" tall. Franklin Square, N.Y.: Nostalgia Press, 1971. "The Golden Age of Comics"; daily newspaper strips from 1936; "Thimble Theater Adventures"includes "Popeye and the Jeep". Popeye and the Mystery Melody", and "Popeye's Search for his Poppa"; color covers, black & white interiors; unpaginated, approx. 148pp.. First Edition. Soft Cover. Near Fine/No Jacket. 4to - over 9¾" - 12" tall. New York: Files Magazine, 1986. "Spotlight on" magazine; profiles interview with Spiderman writer Ted Newsom and interview with Superman IV writers; 60pp.. First Edition. Soft Cover. Near Fine/No Jacket. 4to - over 9¾" - 12" tall. Periodical. New York: Files Magazine, 1986. 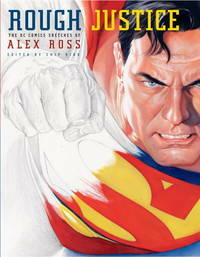 Scarce "Spotlight on" magazine; profiles Spidey and Superman with adapation and episode guides; 60pp.. First Edition. Soft Cover. Near Fine/No Jacket. 4to - over 9¾" - 12" tall. Periodical. Danville, Ca., 1981. Bound in stiff black and white wraps; black & white illustrations; 380pp.. First Edition. Soft Cover. VG+/No Jacket.